No 2-G Jalan PJU 5/20D, Pusat Perdagangan Kota Damansara, 47810 Petaling Jaya, Selangor. Part of the De Asian Café chain. 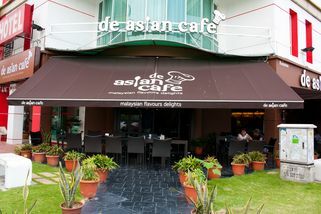 De Asian Café is a new-style kopitiam with air conditioning, lots of space and seating as well as free wifi. The ambience is light, airy, bright, and pretty classy—lots of deco like flowers and the like on the walls and countertops. There are also plenty of outside tables—perfect for those who prefer to breathe in fresh air. 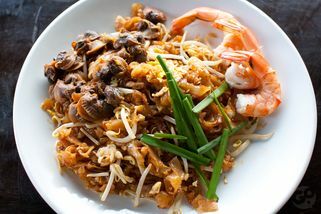 Local favourites are featured here at De Asian Café—from the age-old favourites like nasi lemak and char kuey teow to curry laksa and curry mee. 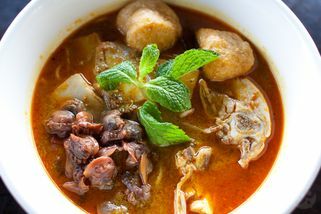 All the most popular local dishes can be had here! The drinks selection is nothing short of humongous—in fact, it takes up the most space in their menu! There’s something for everyone here—from coffee to ice blended smoothies to fruit juices. 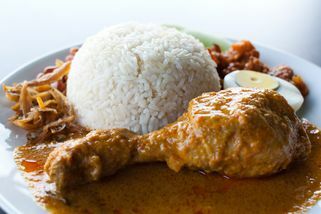 "Just had lunch and I had the "speci..."
Just had lunch and I had the "special" curry me whilst my teenage son had the Sweet and sour chicken chop. The coconut in the curry mee tasted like it was out of a can (maybe they ran out of fresh coconut? ), which lacked flavour and taste. 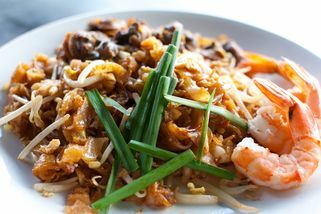 Think the market near my place serves up a better curry mee. As for the chicken chop..after removing the large service of garnishing in the sauce, what was left was a shrivelled up piece of over-fried chicken chop. My son took forever to eat the "chewy" chicken chop. This will be my first n last visit. Pls avoid. "Dropped by De Asian Cafe whilst in ..."
Dropped by De Asian Cafe whilst in the area and was quite pleased with my visit. It's saturday lunchtime and the restaurant seemed like a nice place for a meal and refreshments. When we entered, there were plenty of seats available and we found the interior to be quite pleasant and it was nicely air-conditioned. I ordered the curry laksa with foo chook and my wife ordered the fish and chips. I think both were actually ok. My curry laksa was quite satisfying with a generous helping of toppings. However the chicken tasted nasty though; like it was a day-old left over. Not sure how they could explain that... The iced white coffee was pretty good though. My wife's fish and chips came with fried rice, so she could only finish half the plate. She did enjoy her meal overall. Service wasn't that bad though the waiters were not as attentive as they could have been. During quiet times when there are a few tables, I've noticed waiters here tend to stare out into space most of the time, perhaps pondering on the many unsolved mysteries of life or something. A few waves of the arm and repeated cries of "boss, hey boss" usually snaps them out of it. Overall the price I think was very reasonable. 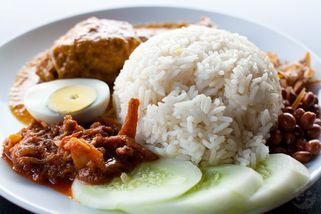 A meal at de asian cafe will cost you around RM15 (RM10+RM5) and are a good sized portion. 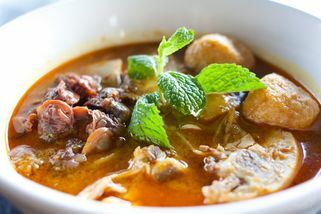 I would recommend De Asian Cafe for lunch or maybe a casual snack or just for drinks , if you are in the area. As we were leaving, I did notice GoMakan limited edition mugs on top of their coffee machine. I'm not sure if they were giving them away or actually using them in the cafe. I went to De Asian Cafe last Saturday and all I can say is that the service is extremely SLOW! I'm kinda upset since we had to press the button a few times before someone attend to us. I ordered the Ipoh Kuey Teow Soup and Special Fried Rice Chicken Wing & Fried Egg. I really thought there is something special 'bout it but nah..its just so-so. There's ample parking and it's free during weekend. Will I come back? Yes, if they can improve their service.